Now I know what people older than I am mean when they say that nostalgia just grows and deepens as you age, and sometimes for the most ridiculous things, too. 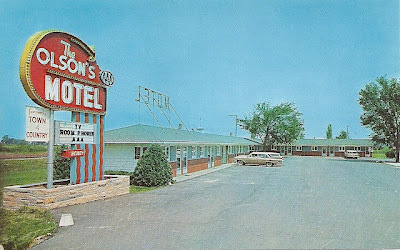 I don't miss that much from the 1970s, the decade in which I spent my childhood, but I absolutely miss the signs, the motels, the colors, the movie marquees, the buildings and the cars that defined that era of automotive travel for me, when I'd sit in the back on my parent's Ford Pinto or grandparents' Pontiac boat-car, and look expectantly and rapturously outward. 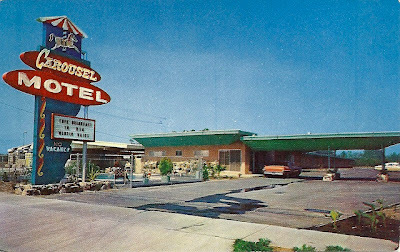 Motel signs, in particular. 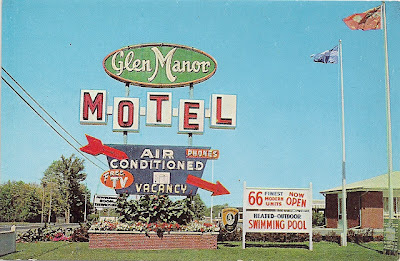 Anytime I see one of these sorts of signs still active - and not in a Vegas-y, deliberately retro manner but one that's, like, real - I stare extra-hard and linger a little longer, because I know that it too shall be gone soon. 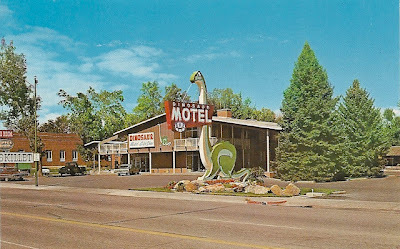 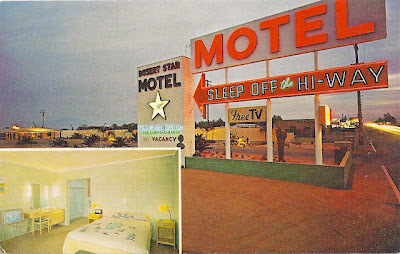 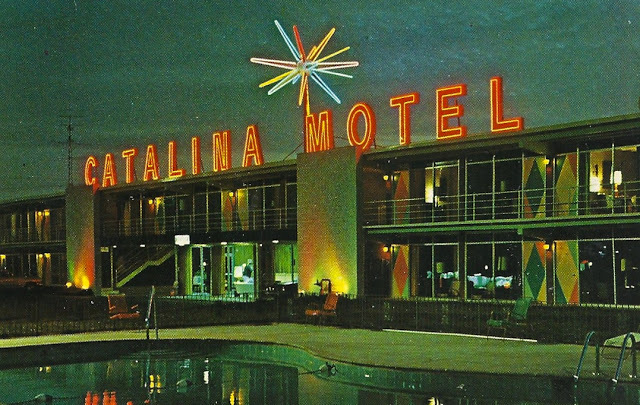 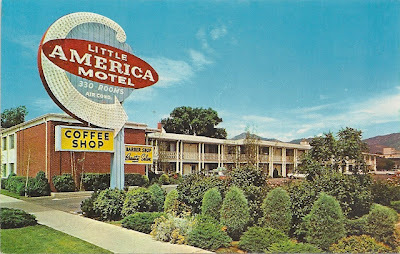 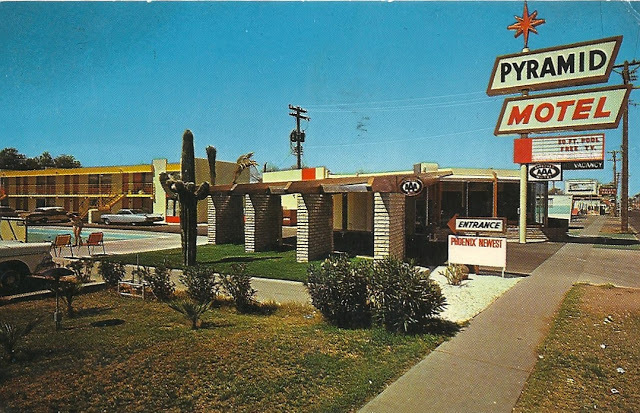 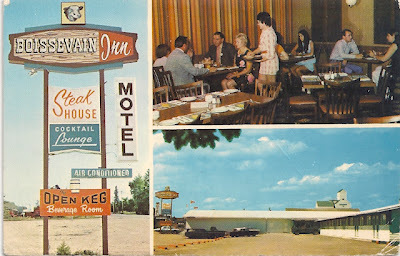 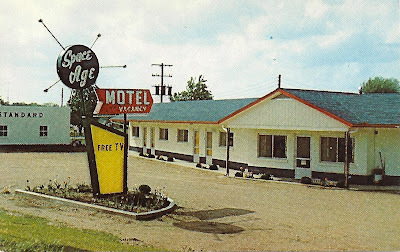 I started accumulating motel postcards from this era, and I've been posting them on another blog, THE POSTCARD MOTEL, which you're free to come visit (and subscribe to) anytime. Meanwhile, here are 10 of my best nostalgia tearjerkers.